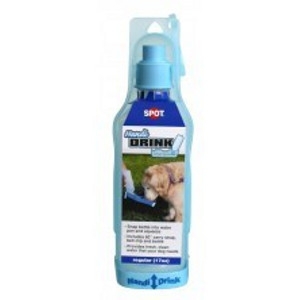 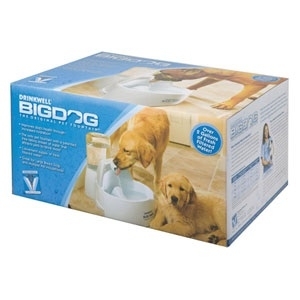 Drinkwell Big Dog Fountain 288 Oz. 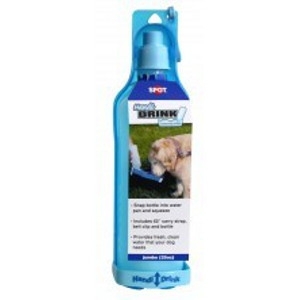 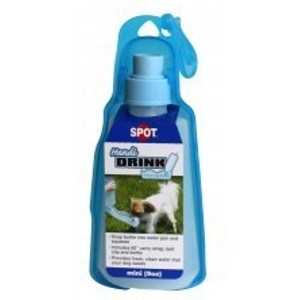 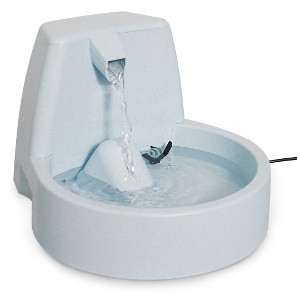 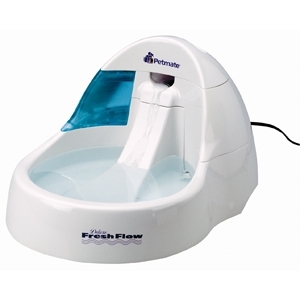 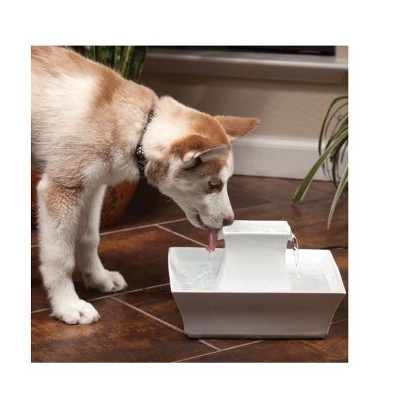 Utilizes the same patented free-falling stream of water which entices pets to drink more. 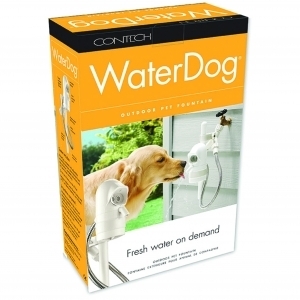 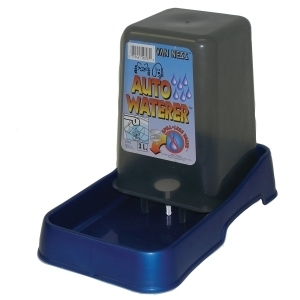 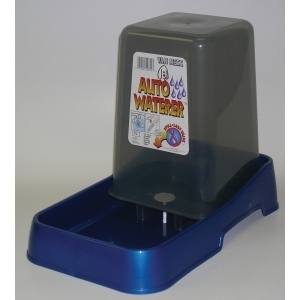 Operates automatically, providing fresh water when your pet approaches. 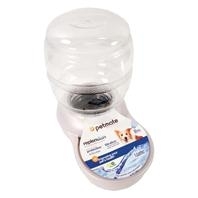 Accomodates your dog day and night for up to one year on four c-cell batteries. 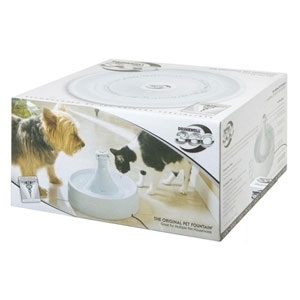 Connects quickly and easily to any outdoor faucet. 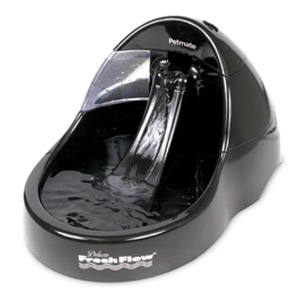 Includes a flow-through connector to accommodate your garden hose as well. 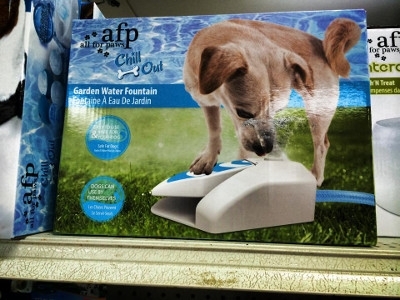 Fresh Water Whenever You Dog Wants It! 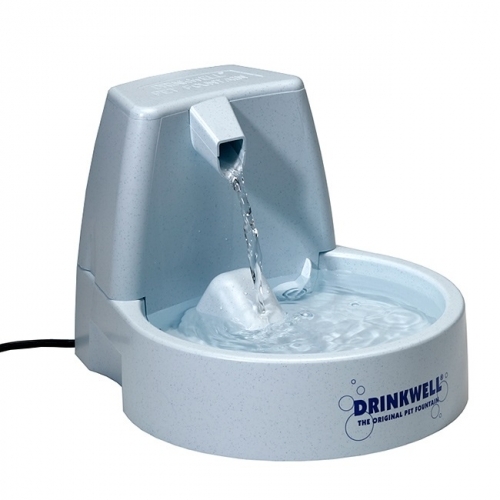 Encourages drinking, no stagnant water, made of heavy-gauge steel for durability and trouble free operation. 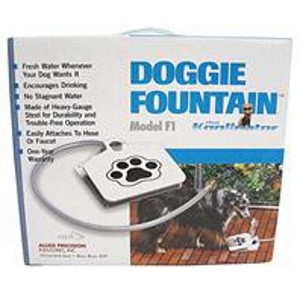 Doggie Fountain is easily attachable to your hose or faucet.